Impressive artisans to know, stunning creations to covet. This article was originally posted February 6, 2019 and was updated February 7, 2019. There are countless dope Black Canadian fashion brands that aren't as established as they should be or don't get the love they deserve. The reasons for this are more far-reaching and complex than this piece allows. But on the topic, designer Caffery Van Horne says: "Black people are seldom seen as leaders in the design community — fashion is no exception. The expectation [as a Black designer] is that my work will be largely ethnic or urban and when it's not, I'm more heavily critiqued." Thanks to the digital age, many Black-led fashion lines are finding success particularly within niche communities. We're certainly seeing the popularity of Canadian-based brands like Andrea Iyamah, Ӧfuurë and Kaela Kay increase, with celebs including Tia Mowry, Kelly Rowland, Angela Simmons, Jackie Aina and Busy Phillips stepping out in their threads. However when it comes to more visible, media-supported and industry-recognized fashion labels led by Black Canadians, most of us can only think of Greta Constantine, Bustle, Brother Vellies and OVO. These are all names we love and cherish, but there should be more names — way more — rolling off our tongues. To that end, we're introducing you to a few awesome designers that we're obsessed with, and whom you may add to your list of favourite designers. They all just happen to be Black and Canadian. Montreal-born Lynn M. Sainté cites her Tumblr tag line "I love papayas" as the inspiration for her brand's name. According to Lynn, it was "a perfect way to encapsulate my quirky character and, by extension, the vibe of my creations." Papaya & Co officially launched in 2015, not as a fashion or accessories line, but as a lifestyle brand that combines bold African prints with a clean minimalist aesthetic — a reworking of an earlier fashion line that never quite got off the ground. Lynn uses wax prints to create products like blanket scarves, pouches, ties and the ever-popular tote bag. 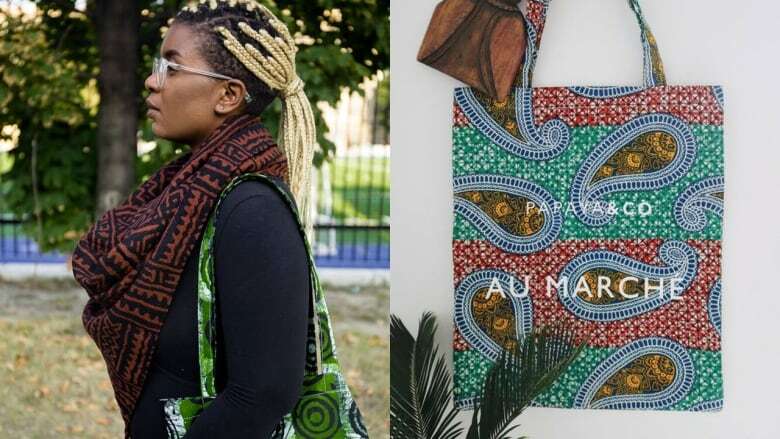 She describes her products as "fresh, crisp and steeped in notes depicting a metropolitan African lifestyle." Papaya & Co really gained traction after taking part in a 2016 fundraising initiative to support Caribbean islands affected by hurricane Matthew, including Haiti, where Lynn's family is from. Last year, the brand wrapped up a successful crowdfunding campaign that allowed Lynn to work with artisans in Haiti for three weeks, and she says that her partnership with Haitian artisans is just the beginning. It's her hope that Papaya & Co will be able to partner with artisans worldwide while continuing to use sustainable and ethical practices. The brand also plans to make a move into homeware that reflects the Papaya & Co aesthetic. Once you meet Caffery Van Horne, it's pretty hard to forget him; his bubbly, straight-up, can-do personality definitely makes an impact. Caffery Van Horne, his luxury apparel and accessories brand, burst onto the scene in 2016 at Toronto Men's Fashion Week, but Caffery was no stranger to the fashion world prior to that. Having received accolades and awards as a photographer and stylist, it was always his dream to add "fashion designer" to his many titles. Now known for his immaculate craftsmanship and romantic prints, he's garnered high praise from publications including Italian Vogue. "I finally made the jump after offering my help pro-bono to some designers based in Columbia," Caffery says. Originally from Jamaica, Canada was home for Caffery for many years. He now splits his time between Toronto and Columbia, designing for both men and women and showing his work around the world. Caffery finds inspiration in many things, including his early life in Jamaica. "It's always my goal to create the look of someone on the way to a beautiful destination," he says. Last year, Caffery held workshops for underprivileged women in Bogota to help them learn how to make clothing and accessories to sell at markets. He ended up buying everything they made in the workshops himself and hopes to do more workshops of this kind in 2019. 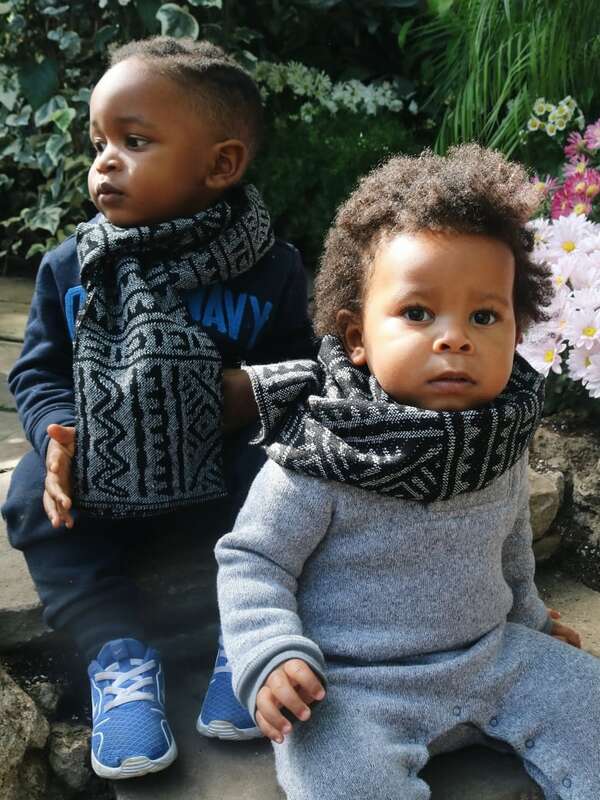 Kwesiya is a ready-to-wear fashion and accessories brand based in Toronto. 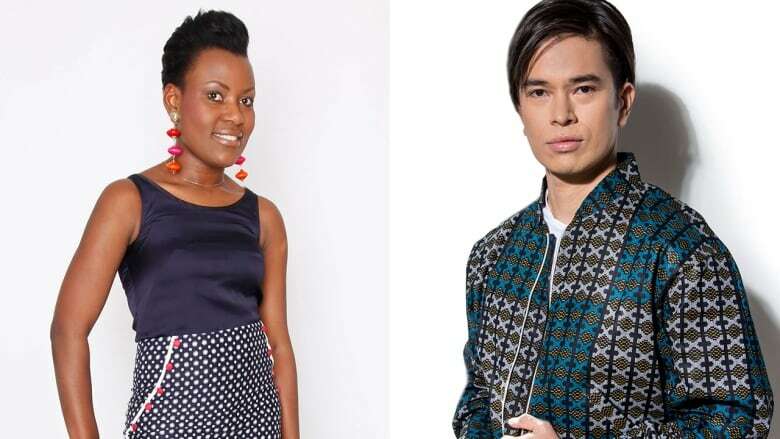 Creative director Fanny Ngantcheu is originally from Cameroon, but got her start in Paris as a designer. A fateful trip back to Cameroon had a pivotal effect on her career. "The colours, the people, the landscape reinvigorated another part of me," she recalls. 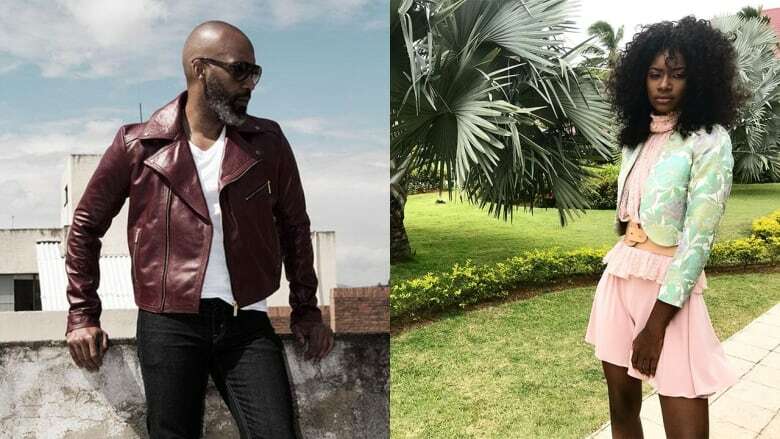 Upon her return to Paris she vowed to start infusing more African elements into her work, and Fanny launched her first collection under the name Kwesiya in 2013. Kwesiya means "mix it" in Cameroonian dialect, a name Fanny — an African raised in Paris, who now calls Canada home — chose because it represents her journey and stylistic influences. Fanny was recently recognized by non-profit La Passerelle-I.D.É. for excellence in entrepreneurship and won Accessory Designer of the Year at the African Fashion Industry Awards in 2017. With a west Toronto showroom and its online store becoming an increasingly popular destination, Kwesiya is a brand getting noticed. 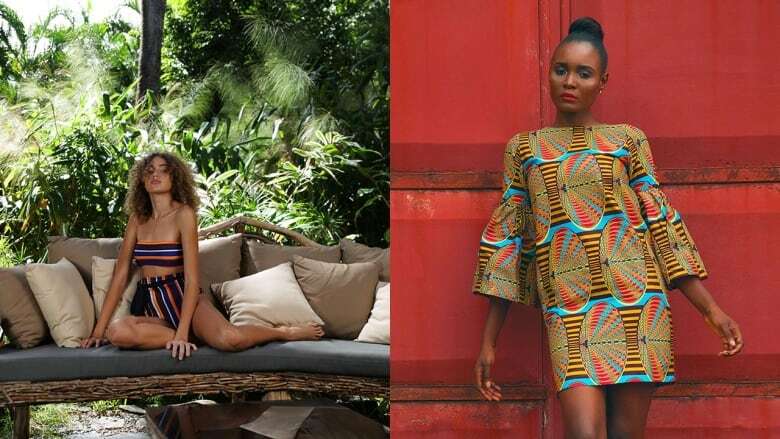 The label now specializes in wax textiles and vivid fabrics characteristic of West Africa, and makes it a point to incorporate fabrics like Egyptian cotton and silks into its work. Inclusivity is huge for Fanny: "I try to reach a broad customer base, not just people of African heritage." Designer Naomie Caron is a Montreal native with a Haitian-Canadian background. Whether she really realized it then or not, her first foray with fashion came early for Caron. She recalls designing an entire shoe collection as a little girl: "something the Spice Girls might have worn." 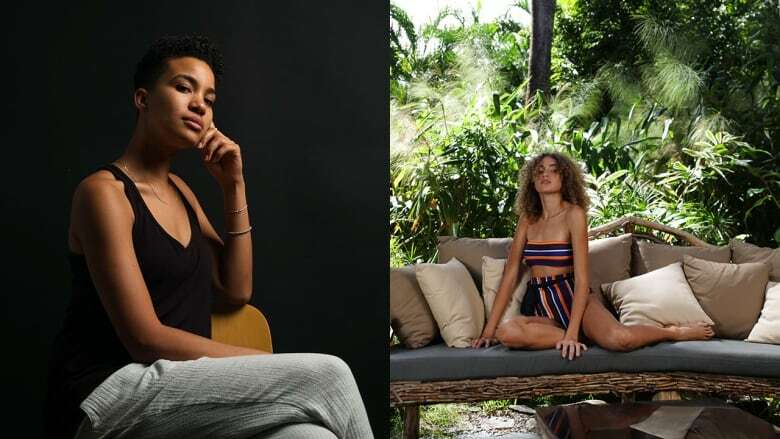 Launched in 2017, Selfish is a high-quality swimwear brand made in Montreal using predominantly recycled materials — Naomi believes strongly in keeping the brand ethical and sustainable. Fans of Selfish include model and influencer Maripier Morin, and Canadian high diver Lysanne Richard. The brand was also part of last spring's Inland pop-up shop for Canada's emerging contemporary apparel and accessory designers. Seeing a flawed industry that projected unrealistic expectations on the public, especially women, Naomie yearned for a line that would promote self-confidence and a positive body image. "I always said to myself that when I [had] my own line, I would change the way we see the female body. That's why I wanted to create not only beautiful artwork but also change the mentality by representing all the different body shapes." A new collection is set to launch in the spring of 2019, made of recycled fabric and including a print designed by Naomie that can be matched with past collections. Selfish will also be part of the One of a Kind 2019 Spring Show in Toronto and in many more boutiques in the province soon.